Depakote (Divalproex Sodium) is a drug used to treat seizures, manic episodes, bopilar disorders and for prevention of migraines. 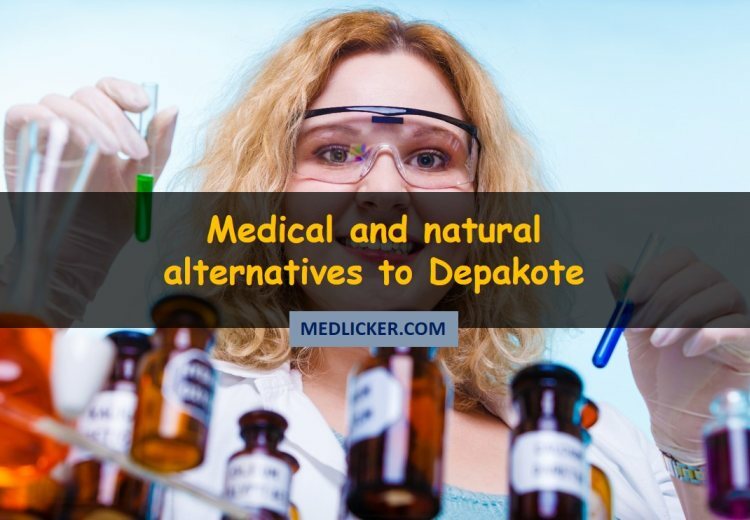 This post features a detailed overview of alternatives to Depakote (both pharmaceuticals as well as natural ones). Depakote (brand name for divalproex sodium) blocks the action of chemicals in human body that may be concerned with causing seizures, spasticity and pain (1). It is also used for treatment of many kinds of seizure disorders either as a standalone medication as well as in combination with other anti seizure medications. Depakote is also used as a treatment option for manic episodes linked to maniac depression and bipolar disorder and for prevention of migraine headaches (2, 3, 4). Even though the mechanism of action of Depakote has not been fully determined, research has shown it to defend against a seizure-induced decrease in phosphatidylinositol (3,4,5)-trisphosphate (PIP3) as a possible therapeutic action. Additionally, its anticonvulsant action has been accredited to the blockage of voltage-dependent sodium channels and raised brain levels of gamma-aminobutyric acid (GABA). The GABAergic influence is also thought to add towards the anti-manic character of depakote. A few people who take anticonvulsants like depakote for mental conditions (such as mania, bipolar disorder, seizures, pain) may suffer from suicidal thoughts or attempts, depression, mood swings and other mental problems. Inform your doctor right away if your family, youor your caregiver observe any abrupt and bizarre changes in your mood, attitude, or behavior as well as signs of suicidal thoughts, depression or thoughts about harming yourself. Severe (possibly fatal) brain disorder encephalopathy rarely occurs, especially in people with certain metabolic disorders such as urea cycle disorders. Consult your doctor immediately if you experience unexplained vomiting, weakness or sudden mood swings or mental changes such as euphoria, confusion, etc. A history of liver disease. Depakote can cause hepatic damage that can be fatal, particularly in children younger than two years of age and in patients with liver problems caused by a genetic mitochondrial disorder. A genetic mitochondrial condition such as Alpers-Huttenlocher syndrome, particularly in a kid younger than 2 years old. Some youngsters have sudden suicidal thoughts when first taking Depakote. Your medical health professional will need to check your development at regular checkups while you are using this drug. Your family and caretakers should also be alert about sudden changes in your mood and behavior. Avoid use of Depakote to treat migraine headaches if you are pregnant. Depakote use in pregnancy can harm an unborn baby or cause birth defects, and may have an effect on cognitive ability (problem solving, reasoning, intelligence) later on in the infant’s life. But suffering from a seizure during pregnancy could harm both the baby and the mother. Do not commence use or suddenly cease use of this drug during pregnancy. Use good birth control during depakote treatment and tell your doctor at once if you become pregnant. Controlling seizures is very crucial during pregnancy. The health advantages of preventing seizures may prevail over any dangers posed by Depakote use. 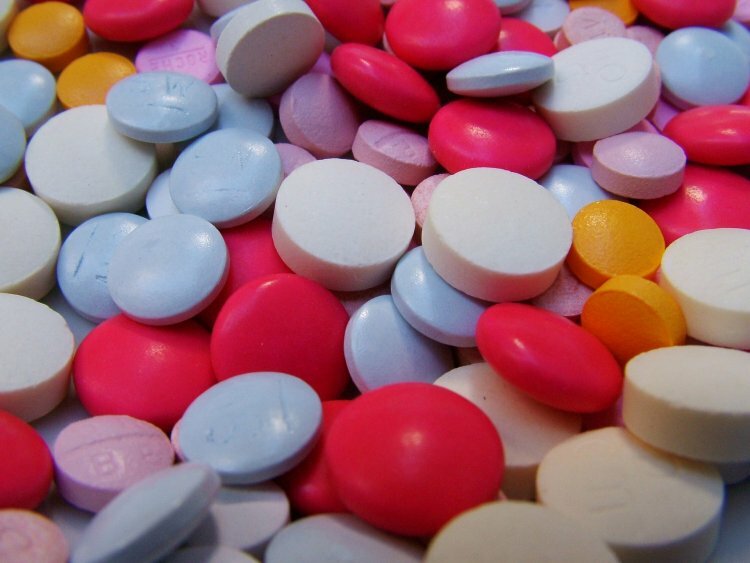 There may be other anti seizure drugs that can be more safe for you to use during pregnancy. Adhere to your doctor's instructions about using this drug while you are pregnant. Depakote can pass into breast milk and may be injurious to health of a nursing baby. Tell your doctor if you are a nursing mother. Take this medicine exactly according to your doctor’s instructions. Follow the directions to the letter on your prescription tag. Your doctor may at times adjust your dose to ensure that you get the best results. Do not take this drug in smaller or larger doses or for duration longer than recommended by your doctor. Drink lots of water while taking this drug. You may need to get your dose adjusted if you do not get enough water or fluids every day. You can open the Depakote sprinkle capsule and spray the medicine into a spoonful of applesauce or pudding to make it easier to ingest. Swallow this mixture at once. Do not chew, break, crush or open a delayed-release or extended-release Depakote capsule or tablet. Swallow it whole. While using Depakote, get your blood tests done frequently. Carry an ID card or wear a medical tag stating that you use Depakote. Any dentist, doctor or emergency medical care provider who treats you should know that you are using this drug. Do not stop using Depakote all of a sudden, even if you feel well. Stopping abruptly may cause a severe, possibly fatal seizure. Follow your doctor's directions about changing your dose. You should store Depakote at room temperature and away from moisture and sunlight. Lithium carbonate (Lithium) is used as an alternative to Depakote in treatment of bipolar disorder (6). It acts to calm down the mood and decrease extremes in behavior by re-establishing the equilibrium of certain neurotransmitters in brain (7). Lithium is indicated by doctors in the treatment of mania and bipolar disorder. For acute mania: Most favorable patient response to lithium carbonate can often be established and maintained with 1,800 mg per day in multiple doses. These doses will usually generate the required serum lithium level varying between 1.0 and 1.5 mEq/L. For long term control: The desirable serum lithium levels are 0.6 to 1.2 mEq/L. Amount of dosage will be different from one patient to another, but usually 900 mg to 1,100 milligrams daily in divided doses will sustain this level. Serum lithium levels in mild cases receiving maintenance therapy for the duration of remission should be checked at least every two months. Before taking Lithium inform your doctor or medical health professional if you are allergic to it or have any other allergies. This medicine may contain some additives (e.g. inactive ingredients), which can fire up allergic reactions or cause other problems. Lithium treatment may sometimes expose an existing disease that affects the heart rhythm (Brugada syndrome). Brugada syndrome is a hereditary, grave heart problem that some people may have without being aware of it. It can cause a severe (probably fatal) abnormal heartbeat and other signs (such as severe dizziness, shortness of breath, fainting) that require immediate medical attention. Brugada syndrome may lead to sudden death. Before beginning lithium treatment, inform your doctor if you have any of the following risk factors: Brugada syndrome, unusual fainting, family history of certain cardiac disorders, and sudden unexpected death before 45 years old. This medication may make you drowsy or dizzy or cause blurred vision. Do not use heavy machinery or drive or perform any activity that needs attentiveness or clear vision until you are certain you can perform such activities safely. Abstain from drinking alcoholic beverages. Lamictal (generic name Lamotrigine) is a drug used for treatment of bipolar disorder and epilepsy (it belongs to a group of drugs called anticonvulsants) (10, 11). It is generally believed to act by re establishing the balance of certain neurotransmitters in the brain. As any other drugs Lamictal may have some side and adverse effects (12). Seek immediate medical help if you experience any of these signs of an allergic reaction: eruption of hives; chills and fever; painful sores in or around your eyes or mouth; swollen glands, swelling of face, tongue, lips or throat or difficulty breathing. Inform your doctor if you observe any new or worsening symptoms, such as: behavioral changes or mood swings, anxiety, paranoia, depression or if you feel hostile, agitated, restless, mentally or physically hyperactive, or have suicidal thoughts and thoughts about inflicting self harm. Lamictal use may result in serious or life-threatening skin rash, particularly in children and in people who take too much of a high dose at the initial stages of treatment with this drug. You will be more prone to skin rash if you take this drug in combination with depakote. Get emergency medical attention if you have a sore throat, swelling on your tongue or face, fever, burning sensation on your eyes, skin pain, followed by a purple or red skin rash that spreads in the face or upper body and causes peeling and blistering. If you have to stop lamictal treatment due to a serious skin rash, you may not be able to take it ever again. First warning signs of any skin rash, no matter how mild. Swollen glands, body aches, fever, headache, flu symptoms, stiffness in neck, increased sensitivity to light. Bleeding and easy bruising, tingling sensation, pain, numbness, muscle tenderness and weakness. Upper stomach pain, discolored urine. Irregular heart rhythm, chest pain, labored breathing on exertion. Vomiting and nausea, confusion, rapid weight gain, urinating less than usual or not at all. Light headedness, shortness of breath, pale skin, rapid heart rate, confusion, trouble concentrating. Worsening of bipolar disorder and increase in seizures. Upset stomach, dry mouth, nausea. Pain in side or backache. Sore throat and runny nose. Hormonal birth control patches and pills. Other drugs to treat seizures such as carbamazepine, phenytoin, primidone, valproic acid. Some HIV protease inhibitors such as atazanavir and ritonavir. Standard oral dosage of this drug that should be given is 25 mg/ day. Do not discontinue taking Lamictal without prior consultation with your doctor, even if you feel fine. Your seizures may increase if you stop using Lamictal abruptly. Inform your doctor if your seizures get worse over time or you have them more often while using this medicine. Use of this drug during early pregnancy can elevate the risk of the baby being born with cleft palate or cleft lip. Tell your doctor if you are pregnant or if you become pregnant during the course of treatment. History of depression or suicidal tendencies. If you are allergic to other seizure medicines. Some people have thoughts about harming themselves while using this medicine. Your doctor will need to check your progress at regular intervals while you are using Lamictal. Your family or other caregivers should also be on the lookout for any unusual changes in your mood or symptoms. Lamictal can pass into breast milk and may harm an infant. Tell your doctor if you are a nursing mother. Take Lamictal exactly as your doctor tells you to. Follow all directions on your medicine label and prescription. Your doctor may occasionally tweak your dose to make certain that you get the best results. Do not take this medicine in larger or smaller doses or for a longer period than recommended by doctor. Taking too high a dose of Lamictal at the beginning of treatment may enhance your risk of developing a severe life-threatening skin rash. Patient may require regular blood tests to help your doctor make sure that you are taking the right dose. Extended-release Lamictal XR may be used for different circumstances and conditions than immediate-release Lamictal. Always check your refills carefully to ensure that you have bought the correct size, color, and shape of tablet. Ask the pharmacist if you have any queries about the medicine you receive at the pharmacy. If you switch to Lamictal from another seizure medicine, carefully follow your doctor's directions about the dosage and timing of your medicine. Go through all patient information, medication guides, and instruction sheets available to you. Ask your doctor or pharmacist if you have any queries. Do not break, crush or chew an extended-release Lamictal XR tablet. Swallow the tablet whole. The orally disintegrating tablet (ODT) should not be swallowed whole. Put it on your tongue and shift it around in your mouth. Let the tablet dissolve in your mouth without chewing. Swallow multiple times as the tablet dissolves. If you want, you may drink water with it to help swallow the dissolved tablet. To ingest the chewable dispersible tablet, you may either swallow it whole with a glass of water, or swallow it after chewing it. You may also place the tablet into 1 teaspoon of water or diluted fruit juice and let it dissolve in the liquid for about a minute. Gently swirl the solution and then drink all of the mixture right away. Do not keep it for later use. Do not stop Lamictal treatment suddenly, even if you feel fine. Stopping suddenly may cause an increase in seizures. Follow your doctor's instructions about decreasing your dose. Carry an ID card or wear a medical alert card stating that you take Lamictal. 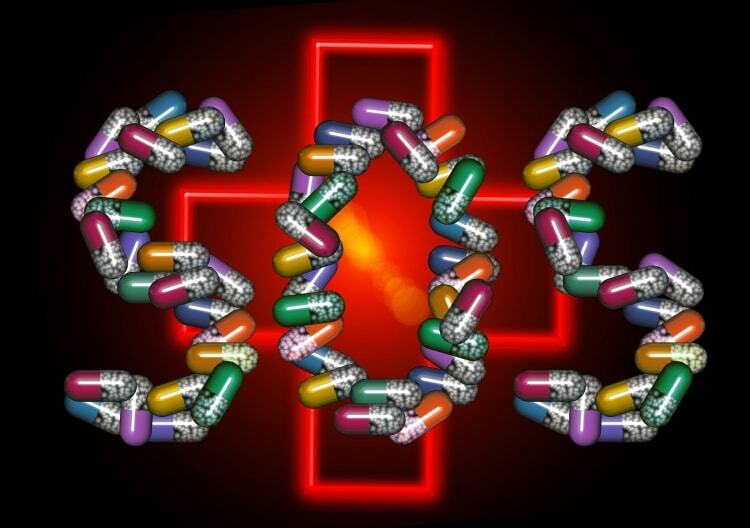 Any doctor, dentist or medical care provider who treats you should know that you take seizure medication. Lamictal can yield a false positive result during drug screening test. If you provide a urine sample for drug testing, tell the laboratory staff that you are using lamictal. For maximum benefits, use this medicine regularly. Get your prescription renewed and refilled before you run out of medicine completely. Store this medicine at room temperature away from light and moisture and keep out of reach of children. Lamictal may impair cognitive thinking and cause blurred vision. Be careful if you operate heavy machinery or drive or do anything that requires you to be alert and able to see clearly. Keppra (generic name Levetiracetam) is an anti convulsant and anti epileptic drug (14, 15). Keppra is used to cure and prevent partial onset seizures in adults and children who are at least 4 years old. Keppra is also used for treatment of tonic-clonic seizures in adults and children who are at least 6 years old, and for curing myoclonic seizures in adults and children who are at least 12 years old. Usual dosage of Keppra is 1000 mg per day is given orally with or without food. Keppra dosing regimen depends on the age group, indication, dosage form (tablets or oral solution), and kidney function. Fatigue, aggressive behavior, personality disorder, apathy, hyperkinesia, mood changes, emotional instability, mood swings, and irritability. Decreased neutrophils, pain in neck. Even if you feel fine, do not stop keppra without asking for your doctor’s advice first. Your seizures might increase if you stop using Keppra all of a sudden. You may need to use gradually less and less before you stop the medication completely. Some people have suicidal thoughts when first taking this medicine. Stay alert to mood swings or symptoms. Report any new or worsening symptoms to your doctor. Keppra might impair your cognitive functioning and thinking. Be watchful if you drive or do anything that requires you to be alert. Inform your doctor if you are pregnant or plan to become pregnant while using this medication. Do not start or stop taking Keppra during pregnancy without consulting your doctor first. Having a seizure during pregnancy could harm both the unborn baby and mother. Seizure control is very crucial during pregnancy and the advantages of preventing seizures may outweigh any risks posed by using Keppra. Do not use Keppra if you are allergic to any of its constituents. History of kidney disease or if you are on dialysis. History of depression or psychosis. A history of mental illness. History of suicidal tendencies or toughts and actions. You may have thoughts about inflicting harm on yourself or committing suicide while taking Keppra. Inform your doctor if you have symptoms of depression or suicidal thoughts during the first several weeks of treatment, or whenever your dose is adjusted. Your family or other caregivers should also be on the watch for mood swings and erratic behavior. Seizure control is very crucial during pregnancy. The advantages of preventing seizures may outweigh any risks posed by taking Keppra. There may be other seizure medications that can be more safely used during pregnancy. Follow your doctor's directions about taking this medicine while you are pregnant. Keppra can pass into breast milk and may harm a nursing infant. You should not nurse your baby while you are using Keppra. Do not allow any child this to take this medicine without the advice of a doctor. Your child's dosage requirements are based on age and weight. The child should remain under the supervision and care of a doctor while using Keppra. Take Keppra exactly as written on prescription by your doctor. Follow all directions on your medicine label. Your doctor may sometimes alter your dose to make sure you get the best results. Do not take this medicine in larger or smaller amounts or for a longer period than recommended. Keppra is usually taken twice a day. Take your regular dose at the same time each day so that may not forget. You may take this medicine with food or on an empty stomach. If a child is using this medicine, tell your doctor if the child has irregular changes in weight. Keppra doses are determined according to weight of children, and any changes may affect your child's dose. Pour out and measure liquid medicine with the dosing syringe provided, or with a special dose-measuring spoon or medicine cup. If you do not have a dose-measuring device, ask your pharmacist for one. Do not chew, break or crush an extended-release tablet. Swallow it whole. While using Keppra, your renal function may need to be often tested. Store this medicine at room temperature away from moisture, heat, and light. Topamax (generic name Topiramate) is used to cure seizures in adults and children who are at least two years of age (18). Topamax use is indicated for prevention of seizures, convulsions and migraine headaches in adults and teenagers who are at least 12 years of age. This drug will only prevent migraine headaches or bring down the number of attacks (19). The standard total daily dose of Topamax as treatment for adults and adolescents 12 years of age and older is 100 mg/day administered in two doses per day. Commonly observed side effects of Topamax include speech impairment, memory loss, anxiety, dysphasia, psychomotor disturbance, dysphasia, slurred speech, diarrhea, fatigue, confusion, paresthesia, ataxia, nausea, lack of concentration, diplopia, confusion, dizziness, insomnia, visual disturbance, nervousness, unusual weight loss, dysgeusia, mood swings, and anorexia. Other side effects include arthralgia, and muscle weakness (20). Topamax can cause harm to an unborn baby, but onset of a seizure during pregnancy could harm both the mother and the baby. Inform your doctor immediately f you become pregnant while taking Topamax. Do not begin or stop taking this medicine during pregnancy without asking your doctor first. Get immediate emergency medical attention if you experience a sudden change in vision or pain behind or around your eyes. These may be beginning signs of a permanent and severe side effect on your vision. Do not abruptly stop using Topamax without first consulting your doctor, even if you feel fine. Your seizures may increase in number and intensity if you stop using Topamax suddenly. You may need to gradually decrease the dose before you stop the medication completely. Visit your doctor if your seizures worsen or if they occur more often while taking this medicine. Before taking this medicine make sure that you are not allergic to topimirate. Eye problems such as glaucoma. Dialysis or any kind of kidney disease or history of renal disease. History of depression, suicidal tendencies and mood swings. Some people develop thoughts about suicide while using an anticonvulsant such as topamax. Your doctor will need to check your condition at regular chekups while you are using Topamax. Your family or other caregivers should also be cautious about unusual changes in your mood or symptoms. Topamax can raise the level of acid in your blood (metabolic acidosis). This may result in weakening of your bones, development of kidney stones, harm to an unborn baby or growth problems in children. You may need regular blood tests to ascertain that you do not have metabolic acidosis, particularly if you are pregnant. Topamax can secrete into breast milk and may cause harm to a nursing baby. Tell your doctor if you are breast-feeding a baby. Take Topamax exactly according to directions given by your doctor. Follow all instructions on your prescription label. Sometimes, your doctor may change your dose to make sure you get the best results. Do not take this medicine in larger or smaller quantities or for longer than prescribed. This medicine can be taken with or without food. Do not break, chew or crush a Topamax tablet. Swallow the tablet whole. Topamax Sprinkle Capsule can be swallowed whole. Or you can split open the capsule and sprinkle the drug into a spoonful of pudding or other soft food. Swallow right away without chewing. Do not save this mixture for later use. Throw away the empty capsule. Carefully act on the swallowing instructions for Topamax. While using Topamax, you may require frequent blood tests. If you need a surgical procedure or dental procedure done, tell the surgeon or dentist ahead of time that you are using Topamax. Drink plenty of fluids and water while you are taking this medicine, to prevent formation of kidney stones or an electrolyte imbalance. Do not stop using Topamax all of a sudden, even if you feel fine. An abrupt stop may result in increased seizures. Follow your doctor's instructions about decreasing your dose gradually. Visit your doctor if your seizures get worse or their occurrence increases while taking Topamax. Any medical care professional who treats you should know that you take seizure medicine Topamax. Store Topamax at cool room temperature away from moisture, sun light and direct heat.. Keep the bottle tightly closed when not in use and keep away from pets and children. Below we describe some natural alternatives to Depakote. This is just for reference and you should remember that no natural remedy can actually replace the proper medication, which has been tested and studied excessively. You should never rely on home remedies in case of disorders like seizures, depression, bipolar disorder, etc. Always go and see your doctor if you suffer from any health issue and ask him/her for proper advice and medication. Never attempt to self treat! Bipolar disorder, depression and mania seem to be less common in parts of the world where inhabitants regularly consume fish and fish oil (22, 23). It is believed that fish oil may help boost brain function and alleviate depression. Fish oil has high content of omega-3 fatty acids, which have been known in small studies to decrease irritability, mood swings and aggression. It is known to preserve mood stability better than placebo in patients with bipolar disorder. Beneficial doses of fish oil range from 1 to 9 grams. Research has found that fish oil and omega-3 fatty acids can help allay depression symptoms. But more studies are required to fully determine to what extent they can treat people with bipolar disorder. Consumption of even 1 gram of fish oil in daily diet is nearly impossible in our modern diet. Supplements are needed to constantly reach this level of consumption. Before taking any supplement ask your doctor for advice. Sleep and rest are natural remedies to treat seizures, irritability and mood swings as sleep puts the mind at peace (24). Lack of sleep can lead to irritability and being quick tempered. Folic acid is the synthetic variety of folate, also called as vitamin B-9, and belongs to the B complex family of vitamins. As is the case with all B vitamins, folic acid helps improve energy metabolism, converts fats and proteins to their usable forms, and facilitates cell growth and development. Folic acid also helps keep up optimal functioning of your nervous system and brain, and helps promote emotional and mental health, according to the University of Maryland Medical Center (25). If you do not obtain adequate folic acid in your diet, you may suffer from unpleasant symptoms such as mood swings and fatigue, which are also symptoms linked with bipolar disorder. Some studies have shown that patients with mood disorders such as bipolar disorder and depression have low levels of folic acid and show that dietary supplementation of folic acid may help reduce certain symptoms. To increase intake of folic acid, add a lot of green leafy vegetables to your diet. Depakote can be difficult for some patients to tolerate. It is particularly contraindicated in patients with urea cycle disorders, history of liver disease and mitochondrial disorders. Such patients have to seek out alternatives to depakote. Lithium carbonate is an efficient alternative for depakote but it cannot be used for treatment of suicidal tendencies and behavior. It exposes Brugada syndrome, depakote does not. Lamictal is also a good alternative but if you develop a severe skin rash this is not the drug for you. Keppra can be given to younger patients but is contraindicated in patients of renal disease. Topamax is an alternative drug to depakote but it can cause vision impairment and metabolic acidosis. Natural alternatives to depakote such as fish oil and folate are somewhat efficient but in serious cases, they do not prove helpful and the patient has to take some medication.